I first met Carmen Leticia Aceves Alvarez in July 2016, during my investigative visit to Fabrica Santa Rosa. The distillery is responsible for such fan favorite tequilas as Alma de Agave, Crótalo, Cabresto, and their flagship brand, Embajador. At a round table lunch over delicious babacoa (barbecue) skirt steak at a local restaurant in Atotonilco, the group from the fabrica introduced me to its newest offering, Jaliscience. We enjoyed small glasses of the reposado while waiting for the mysterious and elusive “Lety” to join us. Having sampled the above mentioned tequilas from NOM 1509, I was struck by how each one had its own distinctive taste and aroma. “Oh, that’s Lety’s doing,” I was told. “Lety is the maestra tequilera?” I asked, incredulously. All the men at the table nodded approvingly. 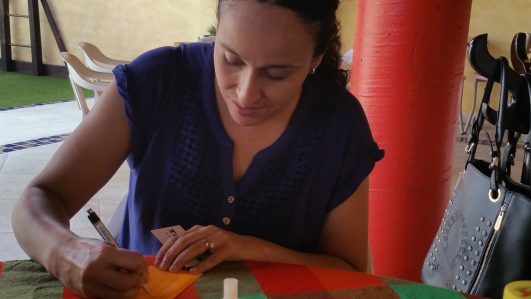 Sino Tequila, or Maribel Garcia Cano of Don Diego Santa, who soar undetected in the Tequila Industry, while opening doors and people’s palates. The shy and demure Lety is not unlike the other unsung lady heroes. Here are her responses to our standard handful of questions. LA: Participating in the predominately male Tequila Industry, more than one obstacle has been a challenge that has afforded me the chance to bring a distinct approach to my work. Every time, more women are involved in the Tequila supply chain. We are making an effort to bring sophistication to this spirit, standardize its methods, and to highlight the artistic marvels that a bottle of tequila implies. To be a woman in the Tequila Industry represents strength and dedication that sustains years of experience. (Ser participe de la industria tequilera, donde predominan hombres, más que un obstáculo ha sido un reto que me ha permitido brindar un enfoque distinto a mi trabajo. (Cada vez más mujeres estamos involucradas en la cadena de suministro del Tequila. 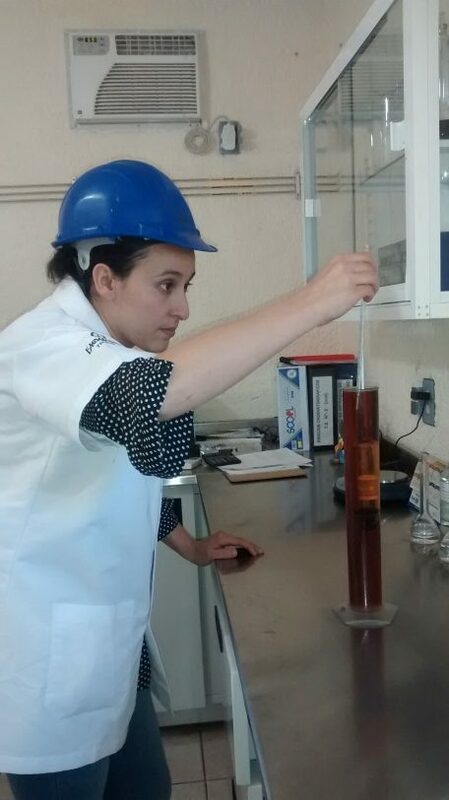 Estamos haciendo esfuerzos en sofisticar esta bebida espirituosa, estandarizar sus técnicas y resaltar las maravillas artísticas que implica una botella de Tequila. LA: Perseverance is definitely a key point in this industry. Women in Tequila have focused on opening and exploring new segments in the market. One clear example is our entrance into Asia. Currently, I am involved in a group of tequileros who jointly export [tequila] into China and surrounding countries. This predominately female group is comprised of tequila lovers like me who struggle day by day so that more people recognize and value our spirit as a marvel of our country. (Definitivamente la constancia es un punto clave en esta industria. (Las mujeres en el Tequila se nos hemos enfocado en abrir y explorar nuevos nichos de mercado. Un claro ejemplo es nuestra incorporación a Asia. (Actualmente formo parte de un grupo de tequileros que en conjunto exportamos a china y alrededores. LA: Women have always been involved in the history of Tequila. What has changed is that more women are taking the reins of corporations, and not just in our industry. More professionals are becoming interested in forming part of the beautiful art of tequila and this [movement] has served to revolutionize and to fine-tune tequila’s perception onto the world. It’s not just historic [first] families of tequila that are in the industry, but qualified people who are contributing to the solidity of the beverage. There have been huge efforts to leave behind the image that tequila is just an intoxicating drink, and I see a clear elevation of Tequila before the world. (Las mujeres siempre hemos estado involucradas en la historia del tequila. Lo que está cambiando es que más mujeres estamos tomando las riendas de corporativos y no sólo en nuestra industria. (Más profesionistas se están interesando por formar parte del bello arte del tequila lo que ha llevado a revolucionar y sofisticar la percepción del tequila ante el mundo. (Ya no sólo son familias de antaño en la industria sino gente preparada que está aportando una solidificación de la bebida. LA: I’d like to bear witness to the existence of major education regarding tequila in the marketplace. That more dinner guests order a snifter of tequila, and that more of us are aware of the respect and history that this beverage entails. That there would be an aligned strategy to grow as an industry around the world. (Me gustaría ser testigo de que exista una mayor educación del mercado acerca del tequila. (Que más comensales ordenen una copa de tequila, que más estemos enterados del respeto e historia que conlleva esta bebida. LA: I believe it is an error that we’ve, and various brands, have committed in following the leaders of our industry, instead of looking to define a unique personalty and to focus on particular segments. The principle reasons that this has occurred is because of the lack budgeting for marketing departments, and, on occasion, it is forgotten that these efforts help in the commercial and sales arena to solidly position the brand. (Creo que un error en que hemos incurrido varías marcas es en seguir a los líderes de nuestra industria en lugar de buscar definir una personalidad única y enfocarnos en nichos particulares. LA: The Tequila Industry is extremely passionate; it envelopes history and tradition. It’s incredible to see that reflected in a snifter of tequila–all the flavors of Mexico. 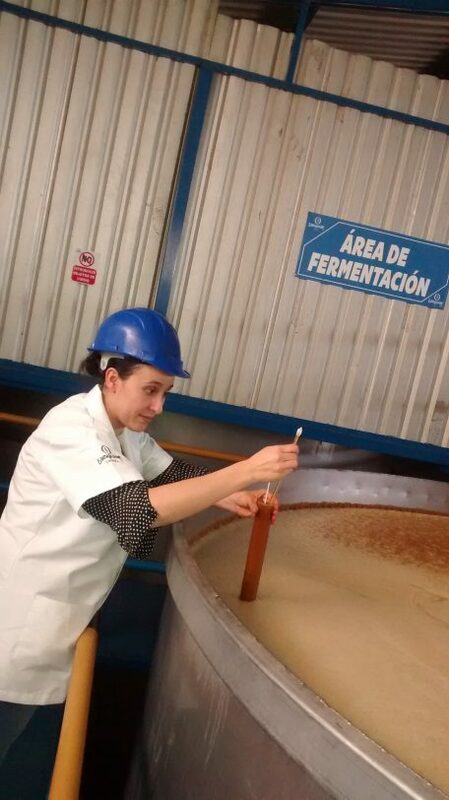 To be a woman in the Tequila Industry is a challenge and a responsibility to present our nation before the world. I invite even more women to not only form a part of the industry, but to be leaders that project Tequila as a beverage that exposes colors, flavors, aromas, and hundreds of years of struggle. A beverage that deserves respect and celebration. (La industria del tequila es extremadamente apasionante; te envuelve la historia, tradición. Es increíble ver reflejada en una copa de tequila todos los sabores de México. 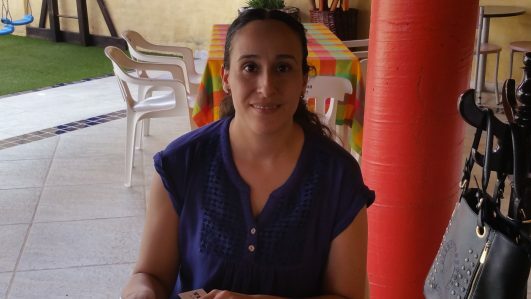 (Ser mujer en la industria del tequila representa un reto y una responsabilidad de presentar a nuestro país ante el mundo. (Invito a que más mujeres no sólo formen parte de la industria sino sean líderes que proyecten el Tequila como una bebida que expone colores, sabores, olores y esfuerzo de cientos de años.